When is a Termite Inspection Necessary? Is Termite Pest Control Really Worth the Investment in Brisbane? Brisbane Termite Services provides professional and personalised termite inspections, termite treatments, termite control and termite barriers for your home, commercial or industrial property in Brisbane. Operating since 2000 with 17 years experience. We only use the latest and most accurate detection technology during your termite inspection. 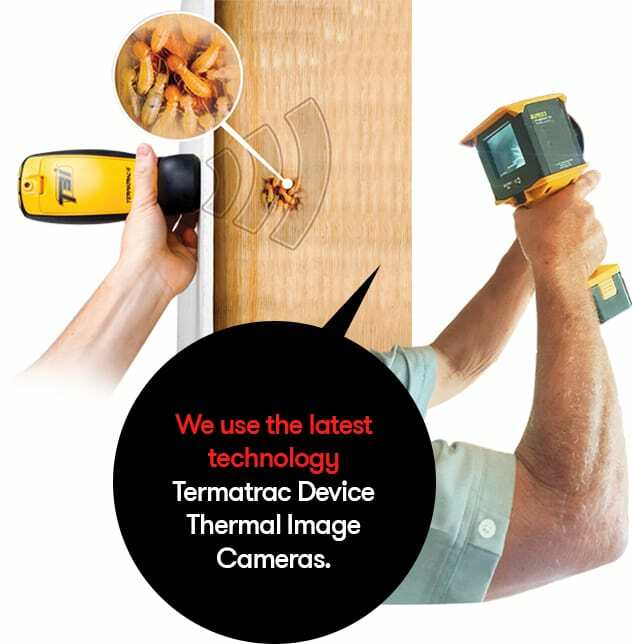 We use a combination of a Termatrac device (that picks up movement, temperature & moisture) and a thermal image camera heat device to ensure your termite check/inspection is thorough. We provide a full written report with our findings and recommendations simplified in plain English. We are very experienced in all types of termite treatment and eradication for residential, commercial and industrial properties in Brisbane. Our termite barriers provide optimal termite protection and termite control and last up to 8 years depending on variations on soil conditions. We have the latest technology & equipment available within the pest management industry. Brisbane Termite Services holds a current company QBCC Queensland building and construction commission. As a family owned & operated business we are constantly aware of the overwhelming decision making process which is involved, especially when it comes to dealing with termites. We are confident that our experience & knowledge will assist you in making an informative decision in conjunction with our website allowing an added insight into the pest management industry & our company. If you have any queries please call us or simply fill out enquiry form and we will get back to you as soon as we can.